I love sports, I love being an athlete. I’ve even been known to play a team sport here and there, but I do not regularly follow sports on TV. The Olympics, however, mesmerize me. Like every girl growing up in the ‘80s, I wanted to be Mary Lou Retton and get a perfect 10, I was shocked when Tanya Harding made the desire to win a criminal act, and I noticed being an athlete might be risky with Greg Louganis’s infamous platform dive. It is the combination of these things that makes the Olympics special to all of us. Every single athlete there is AMAZING – yes, every single one of them! On top of overcoming political turmoil, discrimination, financial obstacles, and homesickness, many of these athletes have overcome physical assaults that should keep them from being on the world stage doing their sport. Did you see the swimmer who is missing a leg, the runner on two prosthetic legs, and the 47-year-old woman gymnast competing for her third country and sixth summer games? 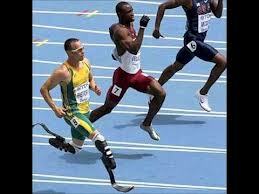 Oscar Pistorius inspiring all of us! No doubt Olympic athletes are great. Heck, they may be mutants! But they have a secret. They know that our bodies are capable of unfathomable feats of repair and resilience. They know that the mind, when put to task, can create things previously unknown. They are not confined by what is expected or what has happened in the past. These individuals ask, “What is possible?” With this belief there is no reason to expect you can’t return from injury completely. In fact, you should believe you will actually be better than before. Jared Campbell, who returned to ultra-running after an Orthopedist told him that he never would, has a great outlook on injuries. “Injury is an opportunity for my body to adapt to the activities I love.” With an attitude like that it’s no surprise that Jared is one of the most successful Ultra Marathoners out there for the past 10 years! Now that my TV is collecting dust again, I am going to be an Olympic athlete in my heart and just see what is possible. 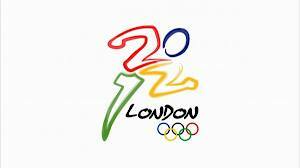 This entry was posted in Clients, General Info, Sports Injuries, sports spychology and tagged injury psychology, Jared Campbell, Olympics by focusbodywork. Bookmark the permalink.